Hi Mary, thank you for your comment. You’re very welcome to re-blog items. 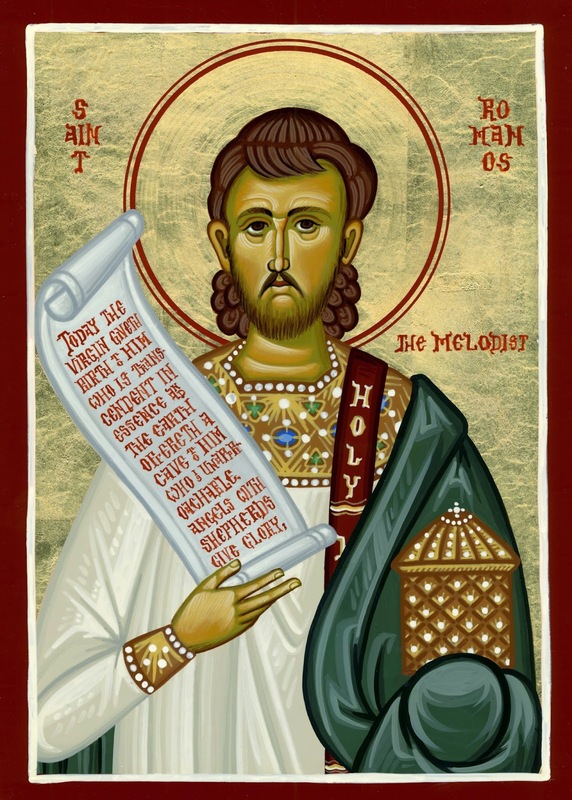 I enjoyed listening to your reading of these verses by St Romanos. This kind of poetry is best appreciated when read out loud. Am I right in thinking that your name is familiar from the combox of Fr Stephen Freeman’s wonderful blog? Thanks, Mark. Yes, I am a reader of Fr. Stephen. Once an active commenter, I am now taking a quieter stance – but still try to get back there occasionally for his words of wisdom. Many blessings to you!